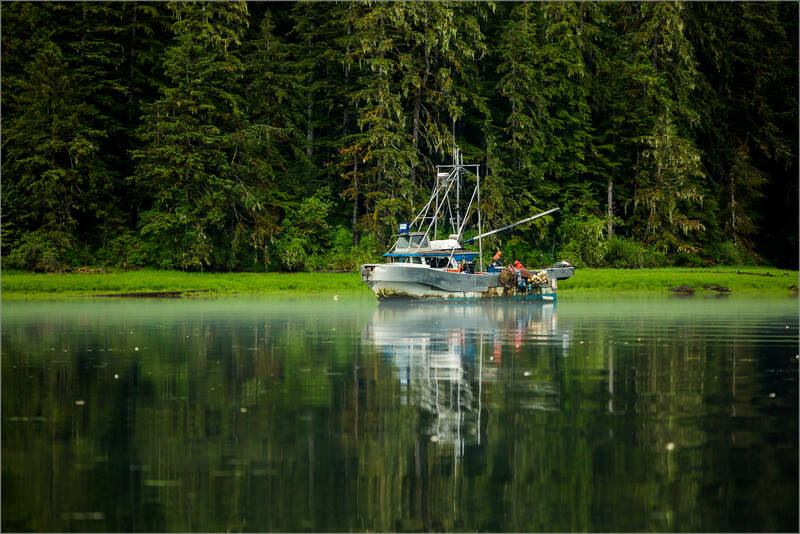 One evening we watched a crab boat come down the Khutzeymateen Inlet and weigh anchor for the night. 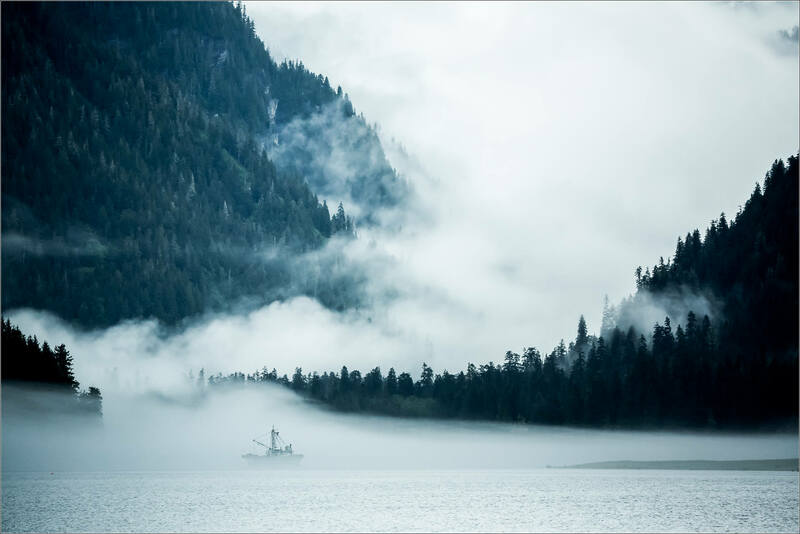 The next day there were some opportunities to photograph the vessel shrouded in mist. Against the massive trees of the rainforest and the steep valley walls, it looked almost like a toy. 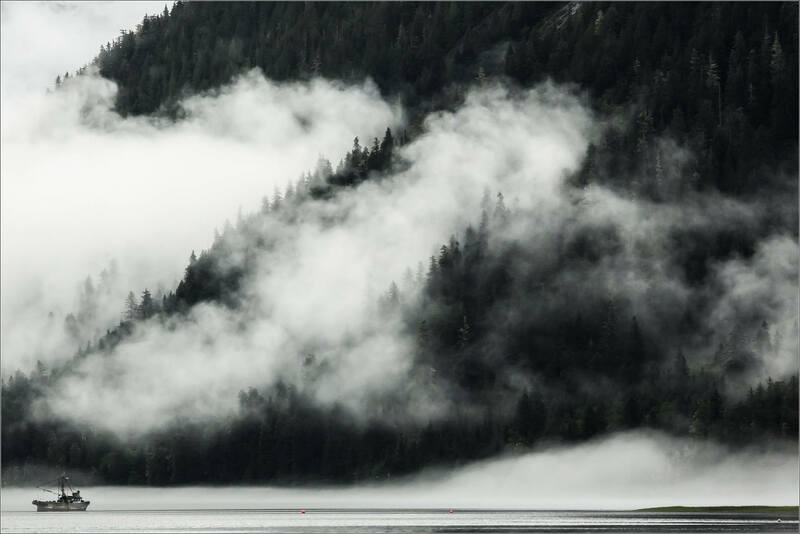 Mornings in the Khutzeymateen often find the coastline wrapped in blankets of fog while low flying clouds cling to the steep hills of the rainforest and the snow-covered peaks. 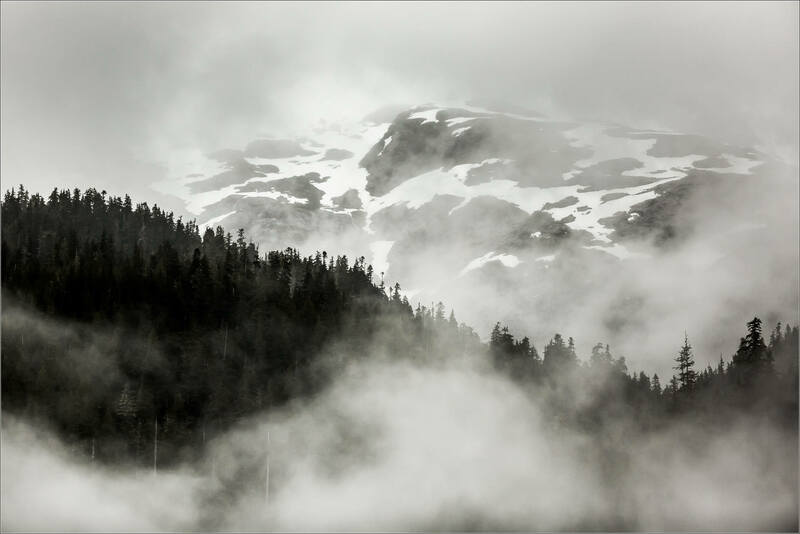 The Grizzly Bears are the obvious draw but the landscape of this northern part of the Great Bear Rainforest is hauntingly beautiful. Later in the day much of the fog burned off and when we sailed by the boat I was able to have a closer look. This entry was posted on July 6, 2014 by Christopher Martin. 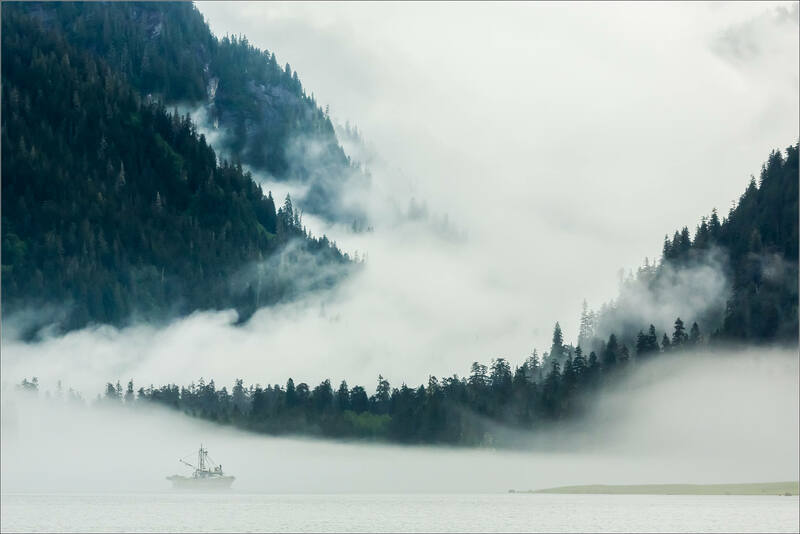 It was filed under British Columbia, Landscapes and was tagged with boat, British Columbia, Canada, fog, Great Bear Rainforest, K'tzim-a-Deen Grizzly Bear Sanctuary, Khutzeymateen, landscape, mist. These images remind me the art of some masters of chinese photography, whose works are deeply rooted in the painting tradition of China and the filosophy of Taoism, whose teachings claims the preeminence of void, of nothingness. Those clouds that float over the landscape and leave visible only portions of it, are images beloved by those artists. It must demand a great mastership to create images like yours. Very heavy fog-has mystical, magical qualities. What an amazingly beautiful place. Well done!